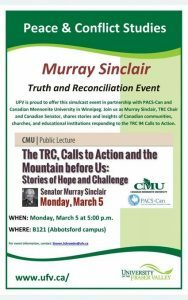 UFV is proud to offer this simulcast in partnership with PACS-Can and Canadian Mennonite University in Winnipeg. 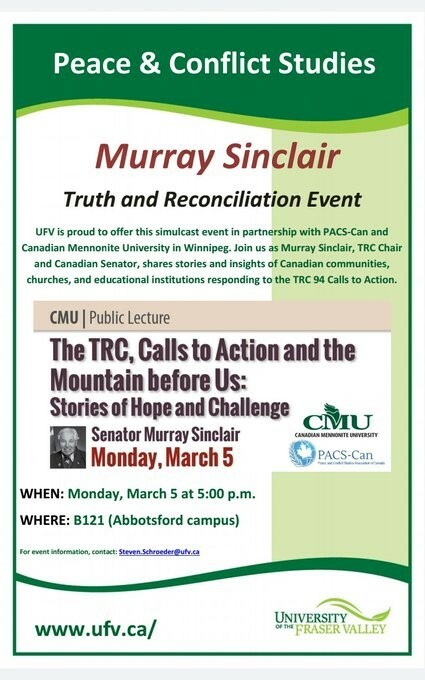 Join us as Murray Sinclair, TRC Chair and Canadian Senator, shares stories and insights of Canadian communities, churches, and educational institutions responding to the TRC 94 Calls to Action. For more information, contact Steven.Schroeder@ufv.ca.